Minecraft: Nintendo Switch Edition is now available! Minecraft, the classic sandbox survival game, is now available on the Nintendo Switch! Originally released in 2009 on PC, Minecaft is still going strong on every major gaming platform. 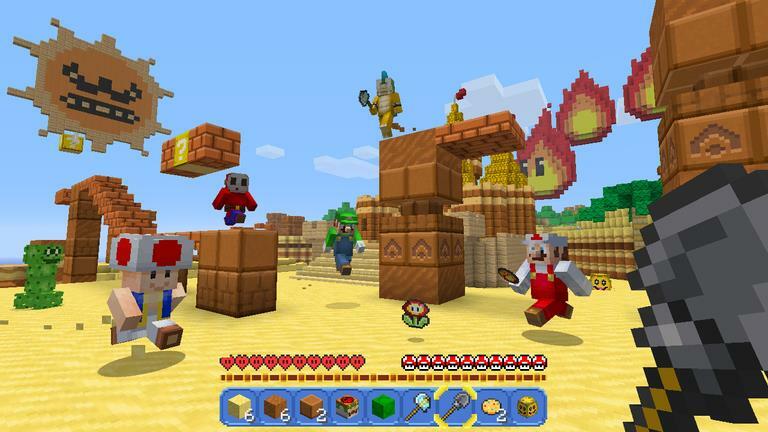 Minecraft: Nintendo Switch Edition features Creative Mode, which allows you to build anything you can think of using infinite resources. There's also Survival Mode, which allows 'crafters to prove their mettle against all odds. Up to 8 players can join a world together online, and 4 can get together for local play on a single Switch console. Craft, survive, or go toe-to-to with your friends in various competitive modes to discover who will reign supreme. Super Mario style map textures, with which you can create your own Minecraft / Super Mario utopia, as well as music from Super Mario 64 to go along. 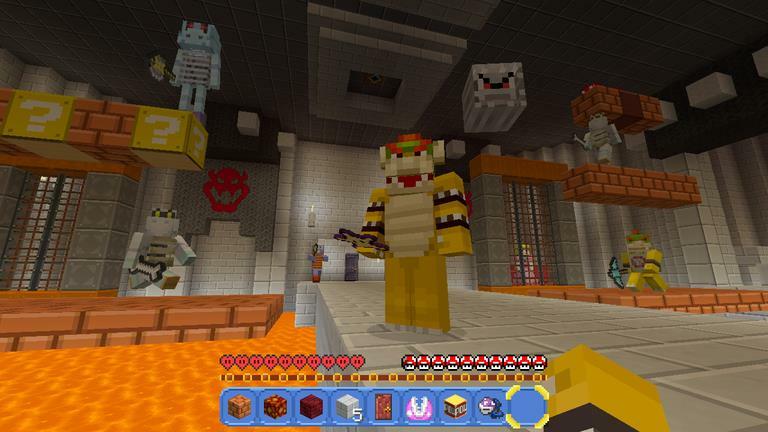 Pre-created Super Mario creations that are ready for you to jump right in and explore - such as Bowser's Castle, Boo's House, and gigantic statues built in the likeness of various Super Mario characters. 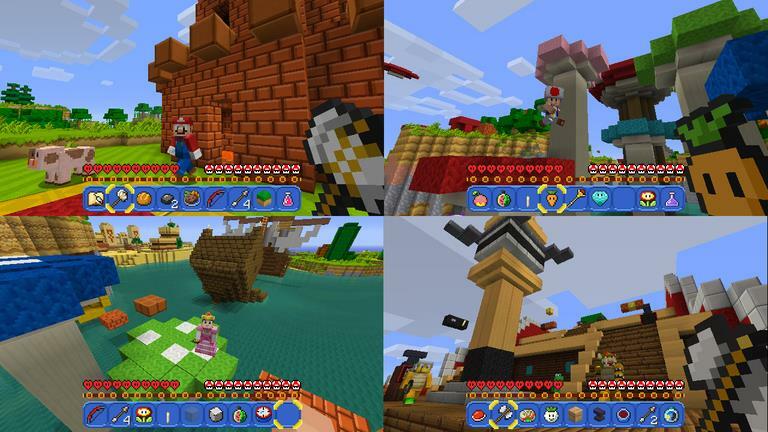 Dozens of Super Mario skins which allow you to play as Mario, Luigi, Princess Peach, Wario, Bowser, and many more! Whether you're a Minecraft veteran, or a newbie to the art of Redstone circuitry, this is a must-have for those with a thirst for blocky adventure. Dig up Minecraft: Nintendo Switch Edition on the Nintendo eShop today!